I’ve got to my late 20s being the person I am, and to a large extent I can’t change that. Of course, I can be mindful of certain things and there’s always room for improvement. But like most people, I’m busy and I already have enough to think about. 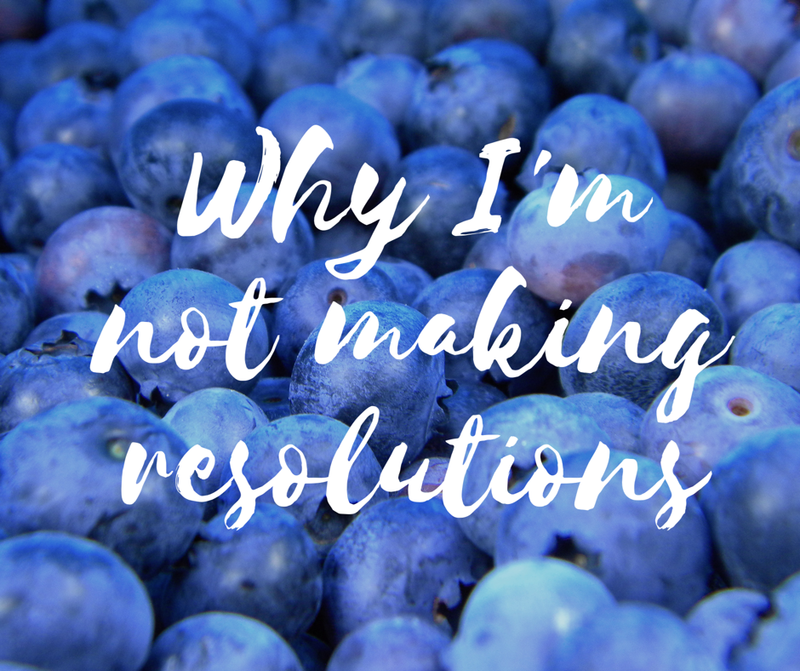 Often resolutions are about denying yourself things, and that can be pretty joyless. I don’t know about you, but the thought of a January without cake does not make me happy. Setting yourself up to fail is no fun, so this year I’m resolving to just be me. That might mean I’m not the ‘best version of myself’, but have you ever thought that maybe you’re good enough already? In amongst all the empowerment and striving to be better, we’ve lost sight of ourselves and forgotten how to enjoy life. If setting goals truly motivates you, then go for it. But if you’d rather join me for a virtual slice of Victoria sponge, please don’t feel bad about it. I’m sure you’re just fine as you are. Excellent, glad to have you at the digital tea party. I have liked the idea in the past but I guess I’m feeling a little older and wiser this year! I agree! I’m tempted to make an “eat more cake” “drink more alcohol” or “watch more Netflix” resolution. Resolutions should be about making yourself having not just deprivation.